Medical errors are now the third leading cause of death in the United States, following closely behind heart disease and cancer. Doctors and medical teams are supposed to heal and make whole, but unfortunately, there are times (several of them, in fact), when medical personnel are not as careful with their patients as they should be. They make trivial mistakes in either the diagnosis or treatment of a patient which have dire consequences, including injury, paralysis, and even death. When this happens, and when it can be proved that no other medical professional would have made such an error in treatment or diagnosis, it is considered negligence—or, in legal terms, medical malpractice. Hospital staff and medical professionals are supposed to be some of the most trusted individuals in our society, right up there with police officers, fire fighters, and military personnel. Unfortunately, however, that does not mean that they are immune to mistakes. When one of them makes a mindless mistake and it results in serious injury or even death, you may have a medical malpractice claim on your hands. 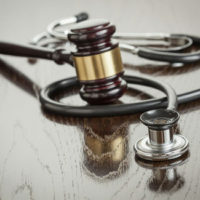 However, in order to prevail in such a case, there are a couple of things you should understand about medical malpractice in Florida. That the doctor did not uphold the prevailing standard of care for a health care provider of similar level and skill, and that the treatment they administered was not deemed acceptable and appropriate by health care providers of similar level, skill, and specialty. That the doctor’s negligence resulted in actual damages. Though damages can be large or small, they should have resulted in some type of monetary loss. Monetary loss can include additional medical expenses, loss of income, or the loss of earning capacity. You must also be able to prove that your loss would not have occurred had the doctor done his job reasonably prudently. Even if you have proof of damages, you still need to be able to prove that the injuries were a direct result of the doctor’s negligence. This is difficult to do without the testimony or testimonies of other healthcare professionals. Those professionals must be able to demonstrate how they would have handled your case differently, and provide proof that the way they would have done it has been successful. Additionally, it would be helpful if they could pinpoint precisely where your doctor went wrong and how that negatively impacted your health. Without the testimony of additional practicing doctors, nurses, or medical personnel, your case may prove to be difficult, if not impossible, to prove. If you believe that you or a loved one was the victim of medical malpractice, reach out to the medical malpractice attorneys at Spencer Morgan Law. An experienced lawyer can help you assess the facts of your case and gather the evidence necessary to prevail. They can also advise you on what to expect from your case, including what type of damages you can expect to recover. For a free case evaluation, reach out to our Miami personal injury team today.